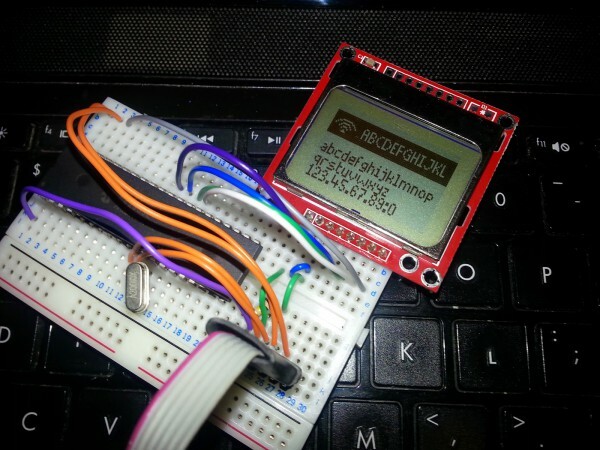 Having left the 1980’s behind, we decided to write our own “libraries” to write text onto the Nokia 5100 display, using a PIC microcontroller. The code below was written for a 16F877a (because it was the first chip we found already on a breadboard, with a programming header connected) but would work equally well on any PIC microcontroller with enough RAM for the font table. This entry was posted on Thursday, October 16th, 2014 at 1:00 pm	and is filed under library, PIC. You can follow any responses to this entry through the RSS 2.0 feed. You can skip to the end and leave a response. Pinging is currently not allowed.